Loaded with mouth-watering recipes, this cookbook is about every day cannabis for all of us. You’ll find savory and sweet recipes that go way beyond the ubiquitous pot brownie - and are easy to prepare for the home cook. Learn about cannabis, its history, and ways to utilize its goodness, including extraction methods and how to create your own tinctures and topicals. And, read about Hugo J. Treadwell (Mary’s cat) who survived cancer with the help of cannabis. 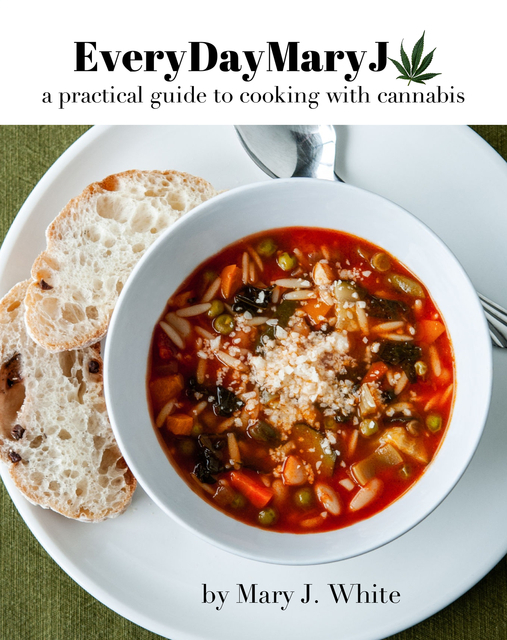 Based on Mary J. White’s experiences teaching folks how to cook and use pot in daily life, she demystifies cannabis and shows you how finding the right strain and delivery method can positively and deliciously change the course of your life.